Light up the game when you pull on this Gilbert Blaze Kids Netball Shirt in Black. 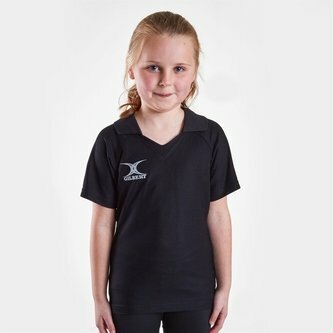 This kids netball shirt comes with a modern feel thanks to the V-neck and players are kept cool and comfortable as the moisture management fabric wicks moisture away from the skin. Made from a lightweight polyester, be sure you're on fire at training wearing this Gilbert Blaze Kids Netball Shirt.